In this article, we will discuss how to use the Spring RestTemplate class to consume CRUD Rest web services. From the documentation, RestTemplate is the synchronous client to perform HTTP requests, exposing a simple, template method API over underlying HTTP client libraries such as the JDK HttpURLConnection, Apache HttpComponents, and others. We are building an application that uses Spring’s RestTemplate class to consume CRUD Rest web services. Basically, we will develop Rest client to consume CRUD RESTFul APIs for a Simple Employee Management System using Spring Boot 2, JPA and MySQL. Following are five REST APIs (Controller handler methods) are created for Employee resource. I have written a separate article to build CRUD RESTFul APIs for a Simple Employee Management System at Spring Boot 2 JPA MySQL CRUD Example. Please refer Spring Boot 2 JPA MySQL CRUD Example article to build a complete spring boot CRUD Rest APIs application. 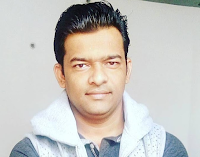 You can download the source code of this article from my GitHub repository - https://github.com/RameshMF/spring-boot2-jpa-crud-example. You can import this project in your IDE and make sure that it is up and running. In this next step, we walk through the CRUD Rest APIs for Employee resource. Let's develop Spring Rest client for above CRUD Rest APIs using RestTemplate class.